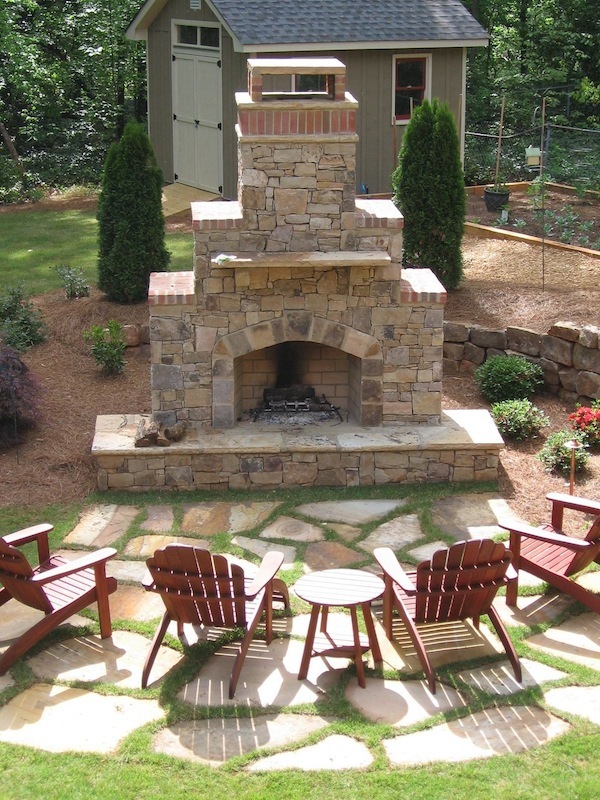 Building an outdoor fireplace or fire pit patio requires careful planning and integration with the landscape. This is imperative. 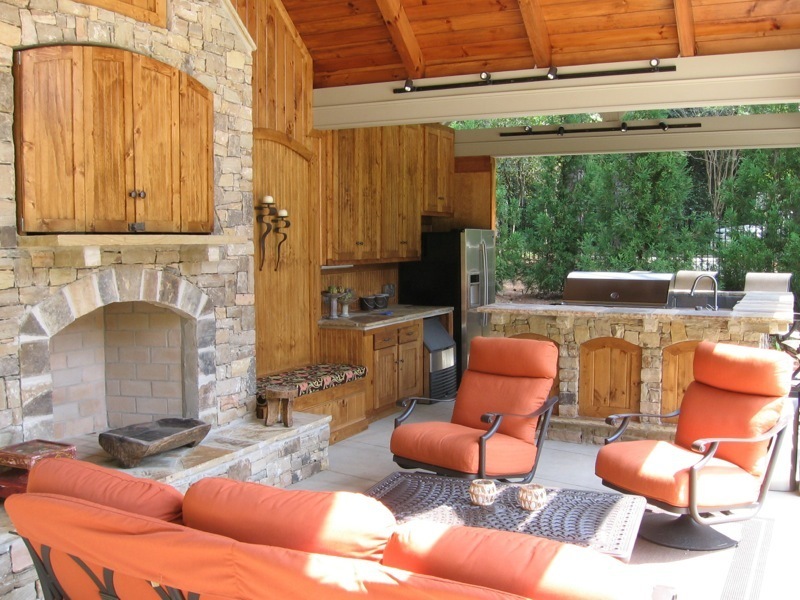 Architecturally, the stone and materials selected should tie into the existing features of the home. 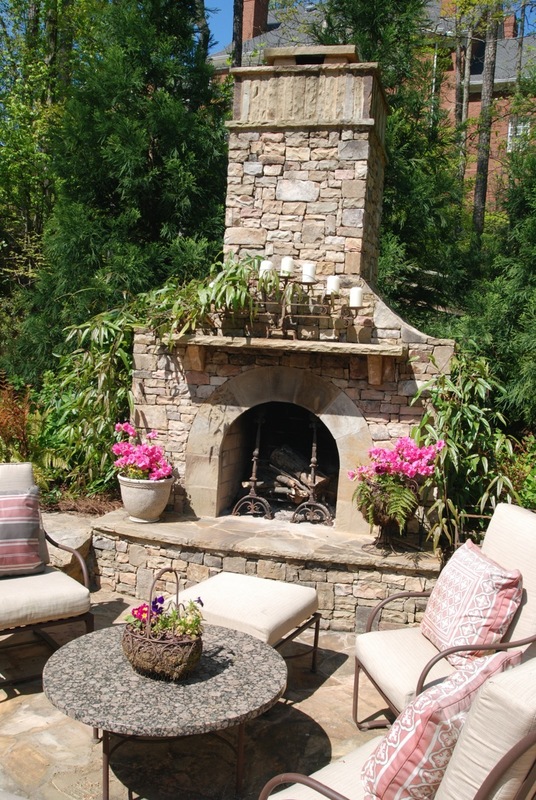 Building an outdoor fireplace or fire pit patio requires careful planning and integration with the landscape. 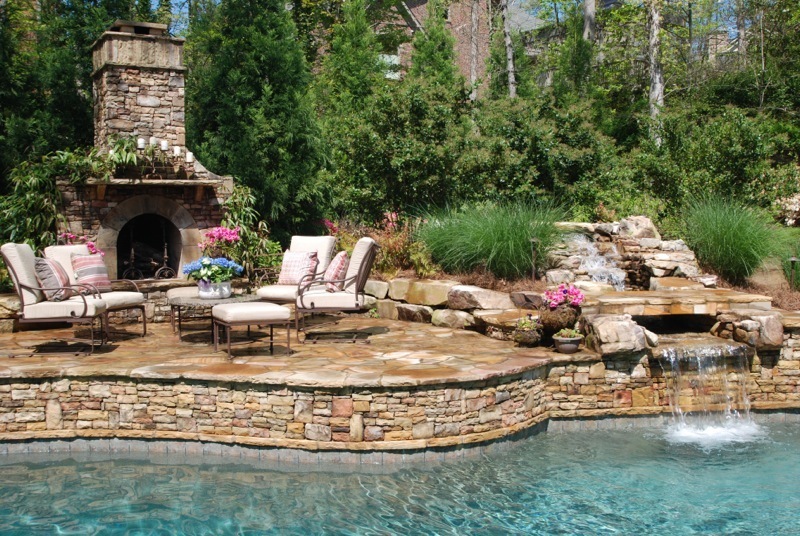 This is imperative. 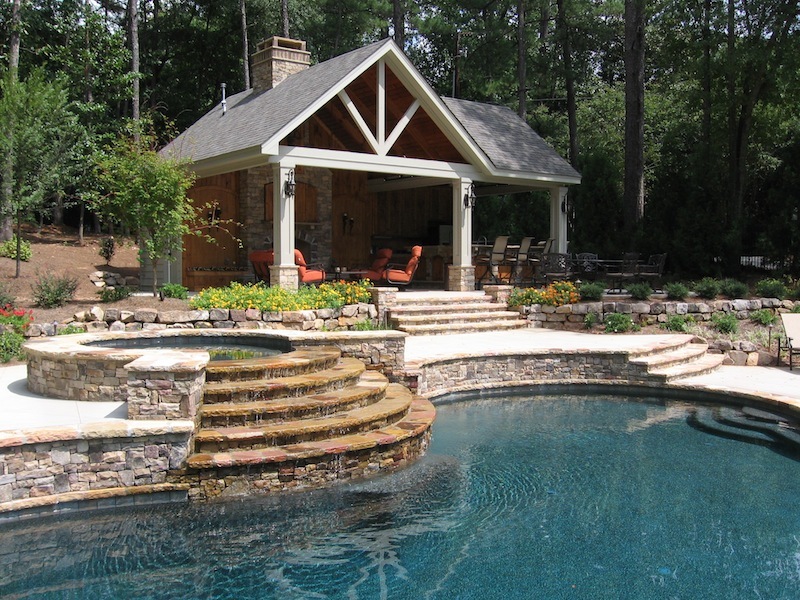 Architecturally, the stone and materials selected should tie into the existing features of the home. 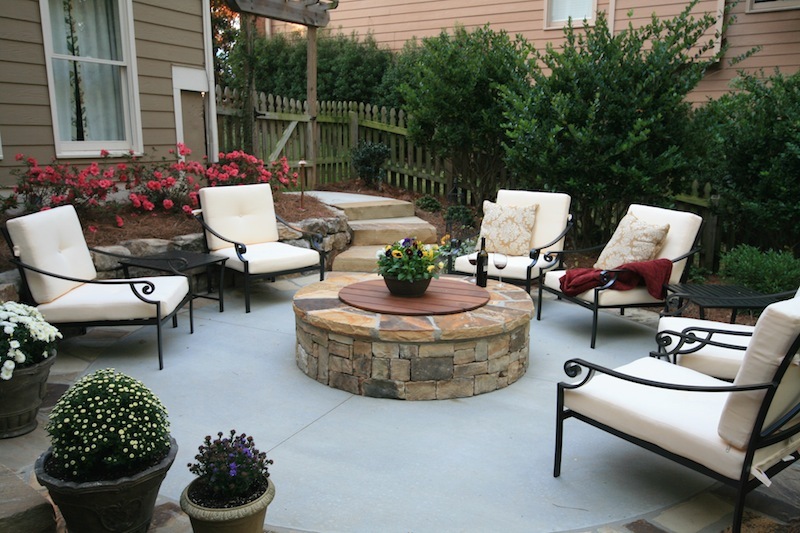 Further, a well-designed fireplace or fire pit patio will flow as an extension of the house. 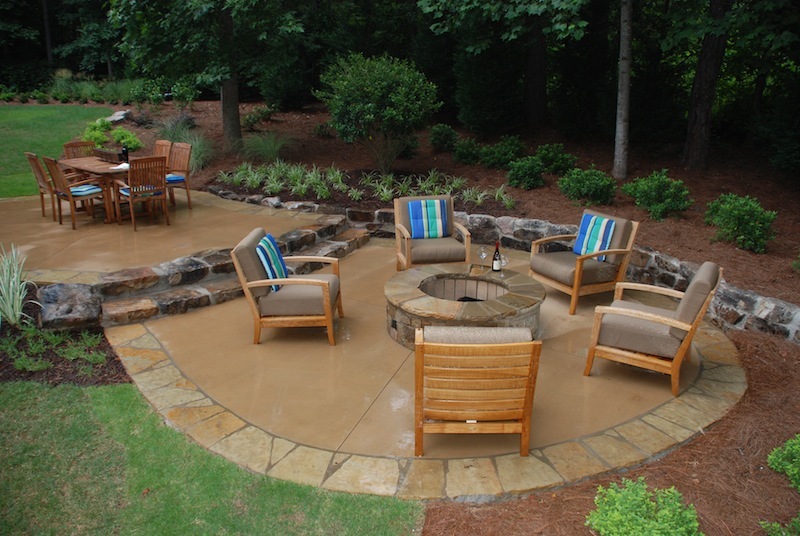 Alpharetta’s Outside Landscape Group only uses the best available materials the market has to offer and hand selects every pallet of material prior to delivery. 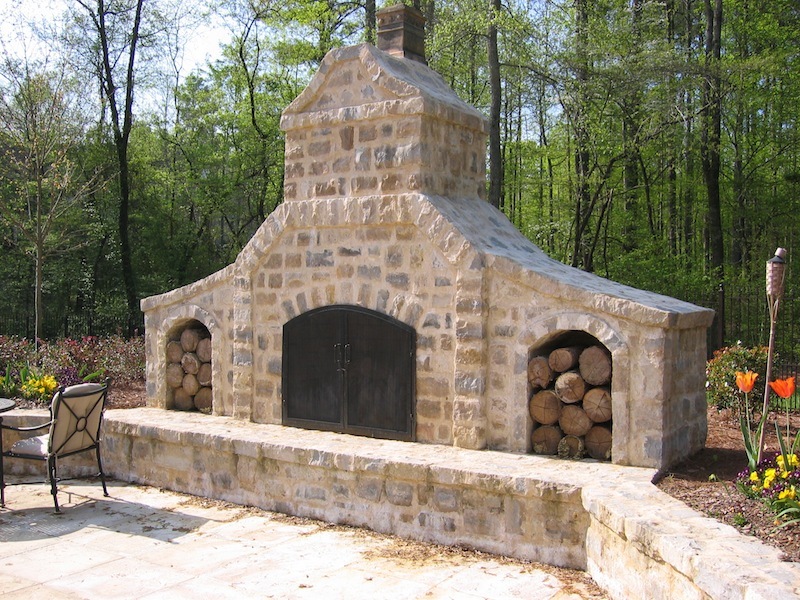 Using fire brick and hand crafted shaped stones are just a few of the methods used by our expert masons. 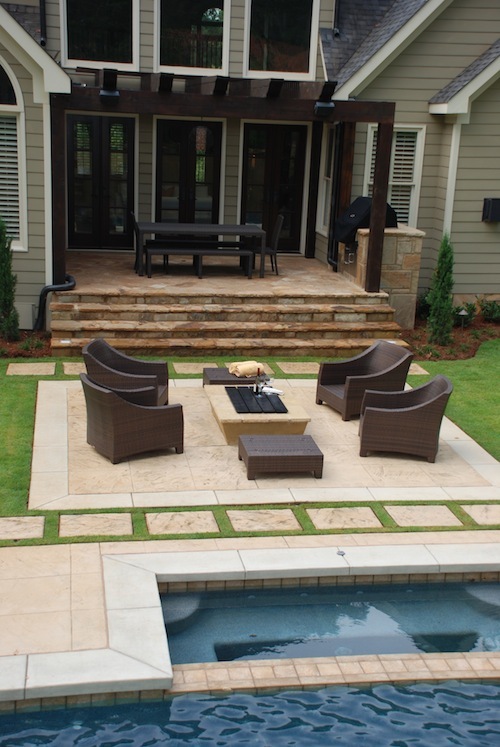 Our design process and attention to detail make us one of the most sought after companies in the Metro Atlanta area. 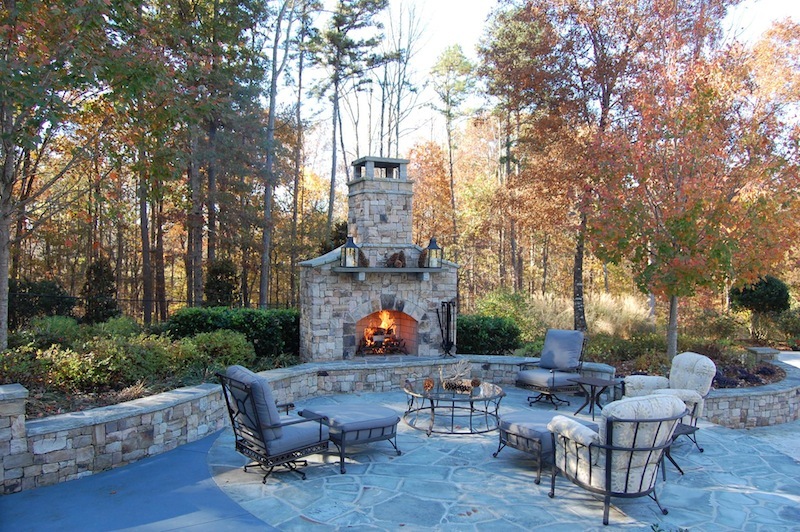 There is no better way to enjoy the fall weather in Georgia than to entertain family and friends in your very own fireplace or fire pit patio. 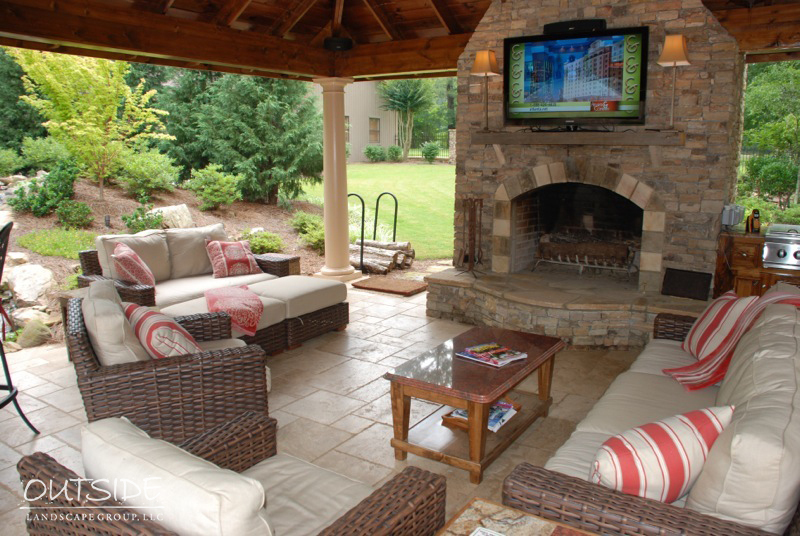 Both make for great gathering spaces to warm up next to the fire when the cool temperatures arrive. 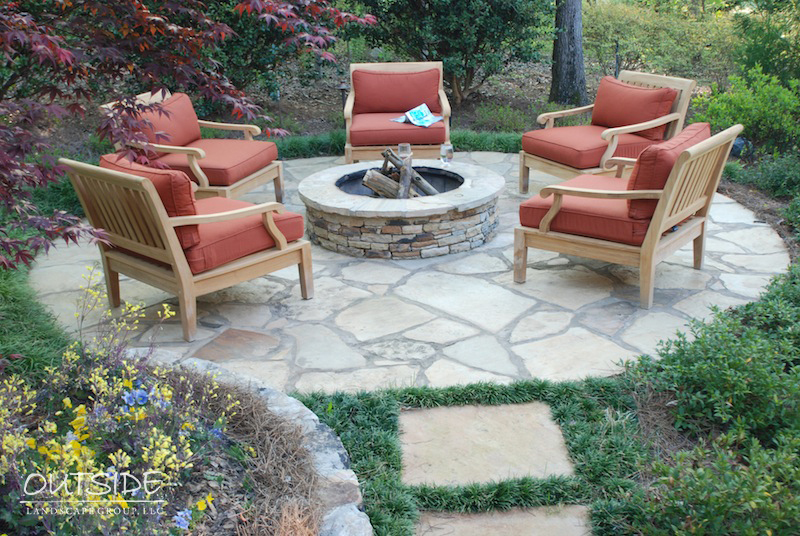 Picture the kids roasting marshmallows or adults conversing over a glass of wine while admiring the fall colors of the Georgia landscape. 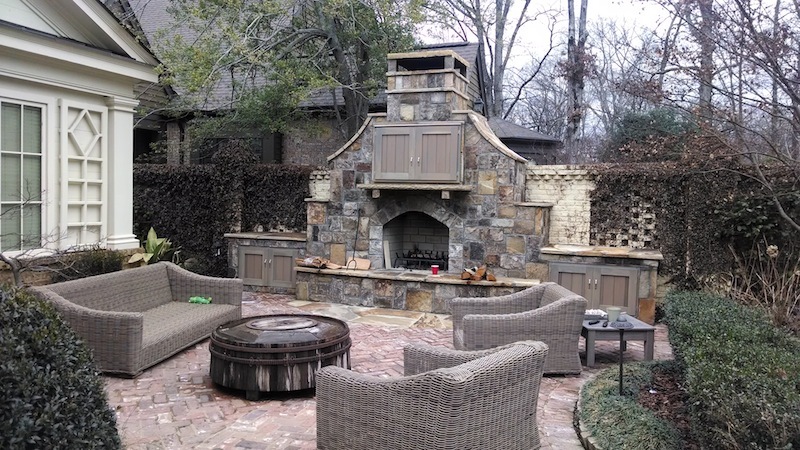 If you are considering a fireplace or fire pit patio, give us a call today or contact us to learn more about how we can help you with your outdoor needs.